We always get excited at this time of the month, as we put the finishing touches to the chocolate delights which will be inside our Chocolate Tasters Club boxes, which will be getting sent out to Tasters Club members next week. 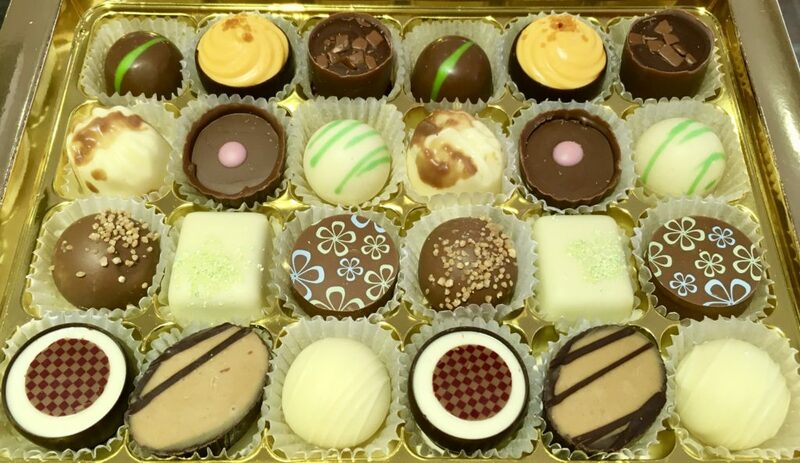 Each month we carefully choose a selection of a dozen different chocolates, made up of between 6 to 10 brand new flavours, complimented by some of our most popular classic chocolates from our existing range. Two of each flavour are included in the Tasters Club boxes, and these are sent to our Tasters Club members each month. We never repeat a chocolate within 6 months, and rarely repeat one with a year. So our members get a whole host of different flavours and varieties of chocolates to try throughout their time in the club. 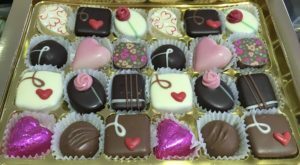 Members can subscribe to 3, 6 or 12 month’s worth of chocolates. And, unlike other similar clubs, we never automatically roll over your membership at the end of the period. But you will get a discount off your next subscription instead. Each subscription includes only one standard postage fee, which means that the other months are sent free of charge, saving you up to £38.50! For July, we have a stunning array of flavours for members to try. Some of our personal favourites include the nutty delights of the Milk Pistachio with its layers of pistachio praline and pistachio truffle; the taste of summer holidays from the Tutti Fruitti Mango where mango ganache sits under tutti fruitti cream and glazed orange decoration, all in a fine dark chocolate cup; Rhubarb & GInger in milk chocolate, filled with a light and refreshing ginger & rhubarb creme fraiche centre; or how about the sweet, zingy and rich Dark Lemon & Vanilla?